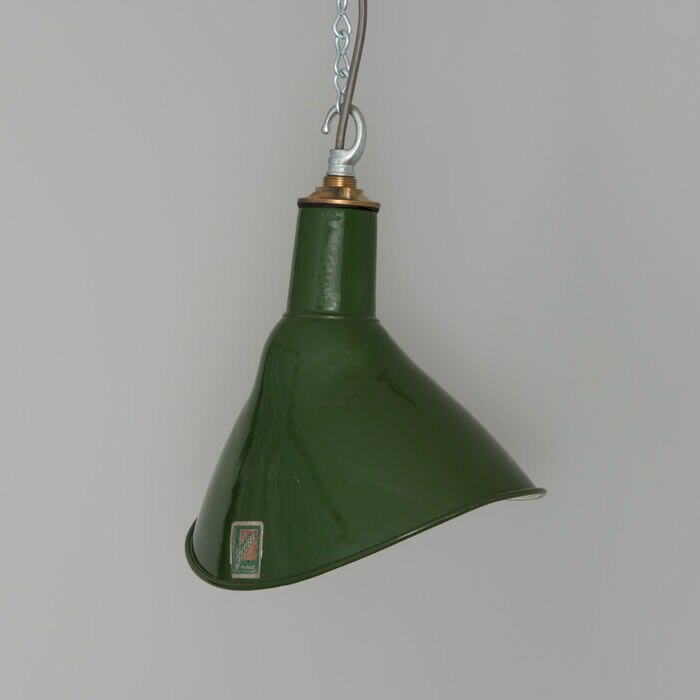 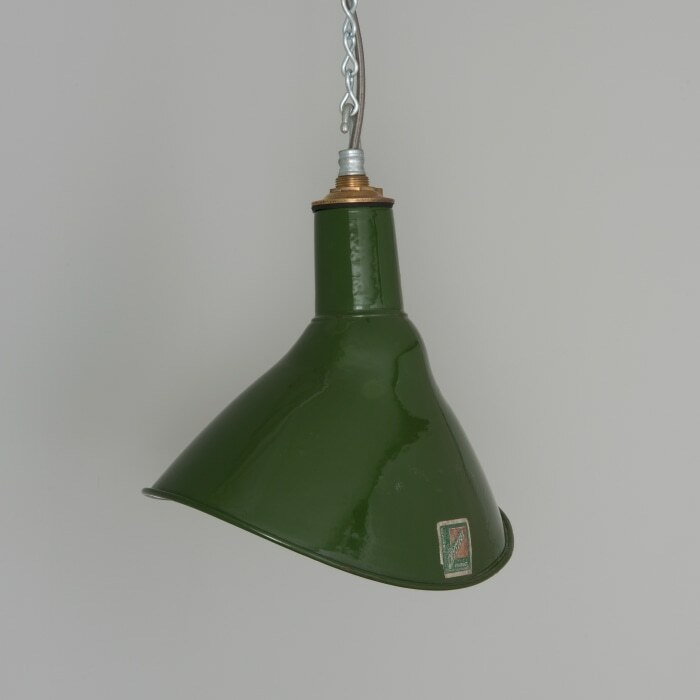 A run of angled elliptical pendant lights salvaged from a factory in the Midlands, UK. 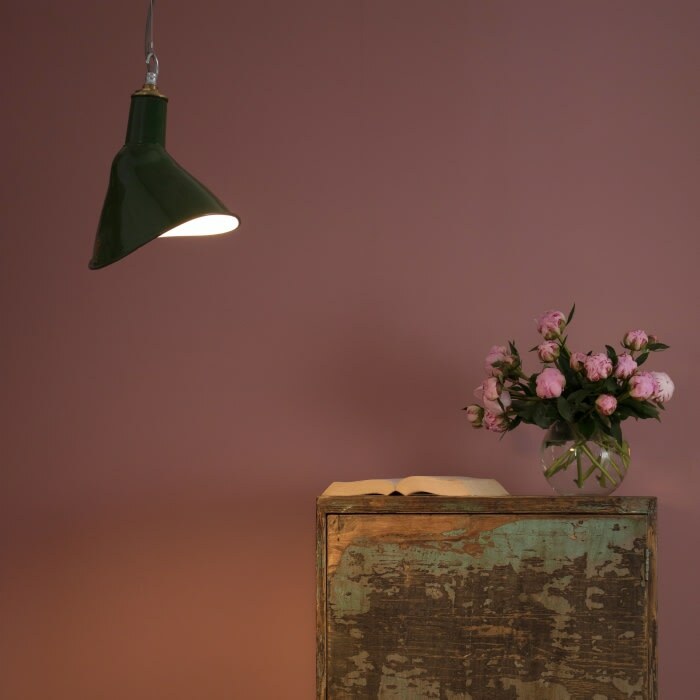 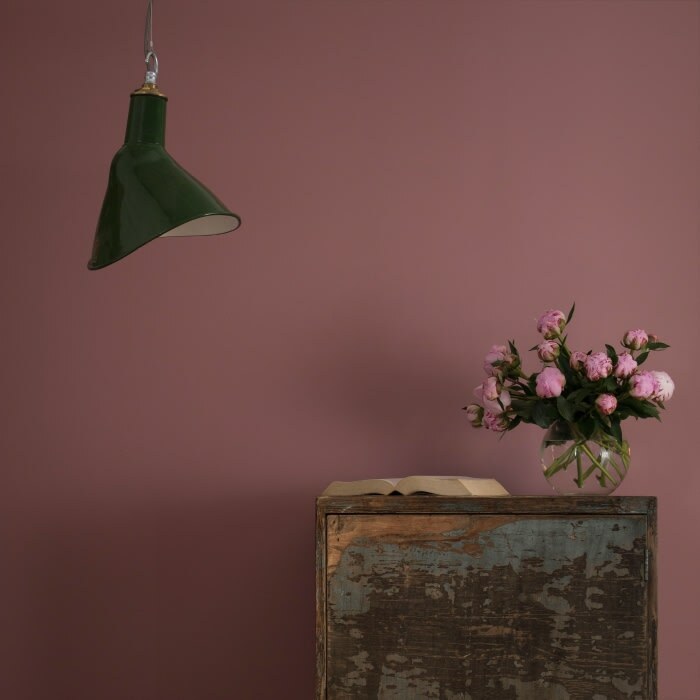 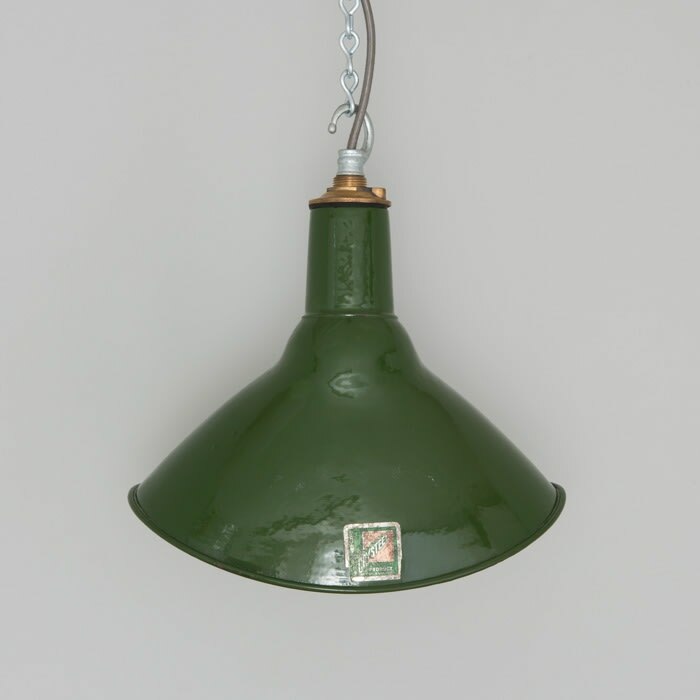 These 1950s British factory shades have been refurbished and reassembled by hand, retaining the original manufacturer's label and their polished brass galleries. These lights were used in industrialised areas including car production lines from the advent of electrical lighting through to the late 1960s. They can now be used to good effect to illuminate a wall or object as they provide a nice elliptical light distribution.